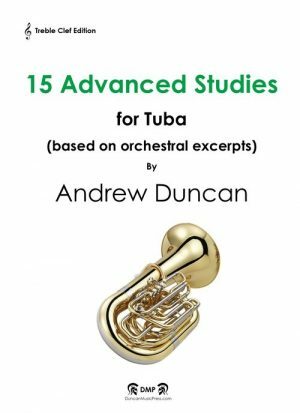 View basket “15 Advanced Studies for Tuba (Treble Clef)” has been added to your basket. This cleverly crafted collection of new works offers 15 advanced studies which are based on key orchestral excerpts for tuba. Background and performance advice is included for each piece. Certain titles have been selected for the new Trinity College London 2019 Tuba Syllabus for Grades 6, 7 and 8. Available in both Bass Clef and Treble Clef versions.